Annual Subscriptions start from just $299! TravelCare is a web-based subscription service for medical professionals providing comprehensive pre-trip travel health and safety recommendations to international travelers. Generate additional income while providing a critical service to a vast under served market of 80 million people. 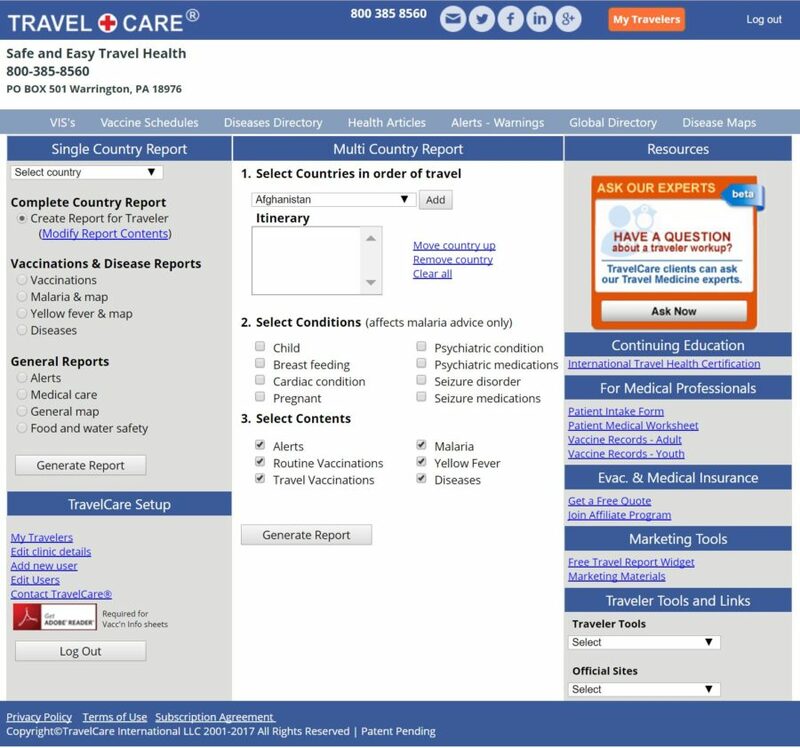 Full access to travelcare.com’s proprietary software and content platform. Easy to use, intuitive, user interface with unique login credentials. In depth country reports including recommendations for health, safety and cultural awareness. Itinerary friendly multi-country reports designed to optimize the pre-trip consultation process. Reports customized by location and for each user. Personalized reports exclusively for the traveler. Comprehensive travel specific disease directory and travel health and safety articles. TravelCare’s Second Opinion – medical answer desk. Traveler reporting to expedite report generation and access history. Coverage of over 200 destinations worldwide. Real time country specific health and safety updates and alerts. Reports delivered by email, print and mobile.